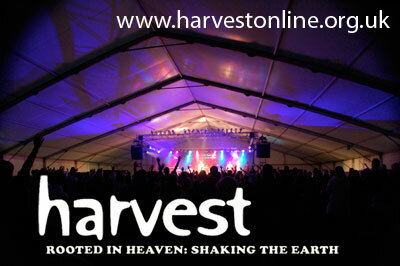 I always enjoy spring harvest, and find it a totally amazing place to be a part of things. I find it difficult to explain in words just how happy it makes me feel but I come out of a night full of happy energy, yet physically tired. Our days start around 6.15am and end sometime after midnight and closer to 1am. The friendships are truelly awesome and every year I make more new friends and old friendships grow stronger. This year people keep asking if I brought the chilli popcorn – that was last years event, this year its been more of putting my all into everything I go for and its been awesome. We have had loads of food to eat, very little rest but the other day we got an afternoon off – a whole 3 hours to do with what we wanted. I had a nap (a whole 20 minutes), then met with rest of team and we went to the beach and I made sand angels – the others didn’t seem up to it. I enjoyed it. Then onto the mini fun fair where we went on a swirly ride and the bumper cars – It was a good afternoon ending up with candyfloss eating and then back to the stewards lounge to return to work. I like the 11 to 13’s teaching, its always crazy and lively – an organised chaos. I think I like the event as I was around 11 years of age when I first became a Christian and believed. I remember understanding the concept and therefore believe these young people can do too. So many kids have gone for prayer, and many have suprised me with how they speak out but in a positive way. Of course, there are some that are annoying and cause havoc but the majority are there to share and praise God which to watch, it truelly awesome.